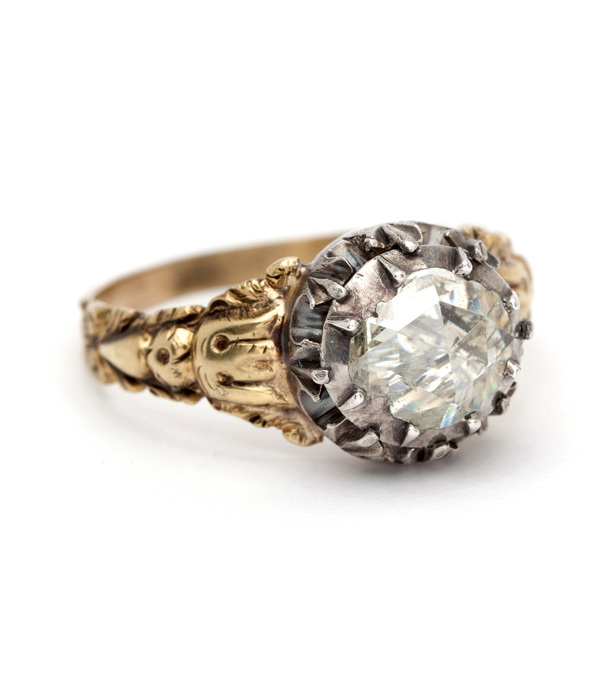 Icy cool, this rare Victorian beauty’s large foil-backed, rose cut diamond reminds us of an ice pond frozen in time! 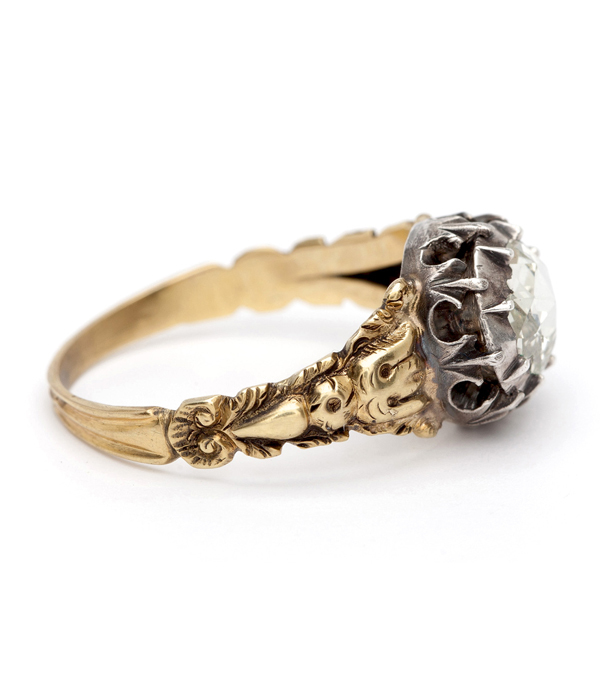 The blacked silver mounting contrasts elegantly against the ornately carved 18K yellow gold shank. 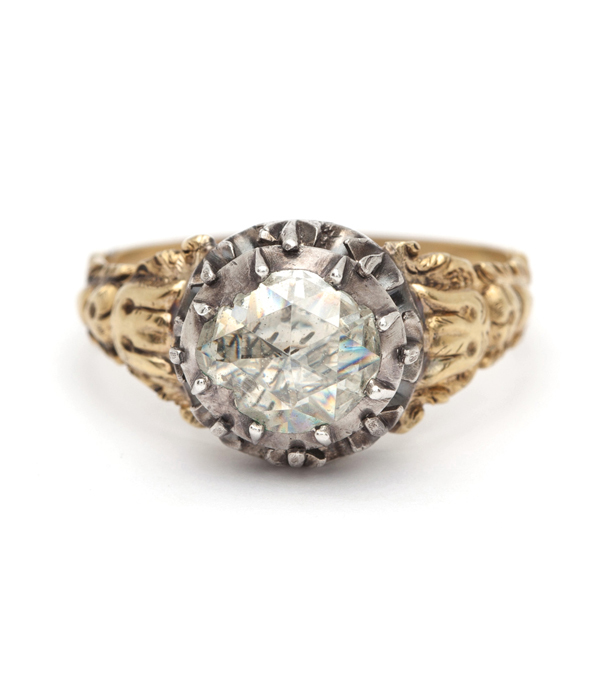 This one-of-a-kind treasure could make an excellent engagement ring for a vintage romantic bride or a beautiful statement ring for an antiques lover alike. Categories: Antique Diamonds, Georgian Jewelry, Victorian Jewelry, Vintage Engagement Rings, Vintage Rings, Vintage Romantic.